We’re sure for many of you expert gamers out there, you’ll have seen it all! There may be an increasing number of casino and slot sites, but they all tend to offer the same types of games. Well, be prepared for something a little bit different, because Phone Bill Casino bring you Slingo and yes they offer Boku! Launched in 2015, Slingo is a mixture of bingo and slots, which previously has only ever been available as a casino machine. Now you have the chance to play this exciting game wherever you like, so grab your mobile, desktop or tablet device and click away! As you would expect from a normal slots games, Slingo have reels that spin and generate numbers. If those numbers are on your bingo card you can mark them off, with the first to complete being the winner; pretty straight forward, right! If you fancy a break of this incredible game then don’t worry you can stay on the Slingo site, because they also offer a range of casino and slots games including Guns N Roses, Family Guy or Blackjack. But we recommend you check out Slingo Riches or the fast paced Slingo Extreme, because if you’re anything like us, you’ll be hooked! Ability to pay by phone bill for credit using Boku. When looking at their welcome bonuses the best place to begin is with spins and simply for registering with Slingo, you can enjoy 50 bonus spins. 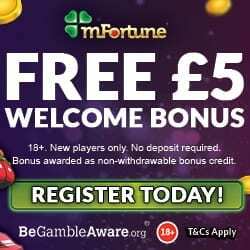 No deposit is required, just a few personal details and you will have the opportunity to play around on the site without spending any of your hard earned pennies. When you’re ready to make your 1st deposit, you’ll enjoy a 100% cash match bonus on amounts between £10 and £100. So if you were to take advantage of this amazing offer, you could walk away with a whopping £200 to play with. 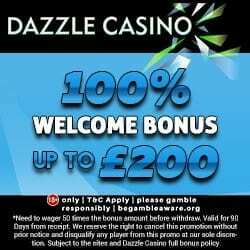 Slingo’s generosity continues on your 2nd deposit because on a minimum £20, you’ll receive 20 spins on featured slots such as Starburst, Twin Spin and Gonzo’s Quest. It’s not just the new players who will feel the love with Slingo, because loyalty is important to them. 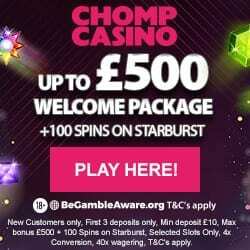 When you’ve deposited and wagered a minimum £50, you’ll be invited to their VIP Programme. But this scheme is a little different from others, because they believe in tailoring their bonuses to suit your individual needs. Slingo also go that extra mile, because they have been known to invite their VIP’s to days at the races and offer weekend breaks or spa days. So enjoy playing great games and who knows where you could end up! If you’re unaware of Boku then do we have a treat for you? Paying for gaming credit by your phone bill or by using phone credit is becoming increasingly popular. The reason is because of the benefits it brings which include financial security because you don’t have to provide bank details; merely a mobile number. Also if you’re a little strapped for cash, you can continue playing your favourite games and simply pay off the phone bill when it normally comes through. We’re sure you’re eager to head over and play Slingo and enjoy those 50 spins.